First, before we proceed, let us find out some of the major causes of Abdominal Fat. 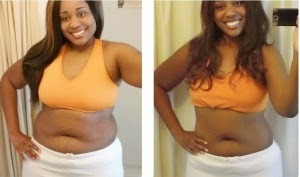 However, to curb this bogus bulgy tummy we should be committed to this practices. function, an impending tummy protrusion ensues. According to recent studies, instead of working out for hours or running a few miles, doing short bursts of active exercises is very helpful in reducing stubborn fat. For example, if you are walking on a treadmill, randomly increase the speed for a few seconds and get back to walking. alternatives like honey, palm sugar and licorice extract. herbs also helps reduce salt requirement. secreted by the body when under stress. Spike in cortisol levels is the main reason for abdominal fat. foods. Consuming a few cloves of raw garlic and a 1-inch piece of ginger every morning is good for fat metabolism. Also, when trying to get rid of bad cholesterol, addition of good cholesterol can be helpful. Avocados, olives, coconut and nuts are few sources of good cholesterol. starvation mode, a key for abdominal fat gain. of your meals and make up for it by snacking healthy. You could consider having dry fruits and nuts, raw veggies or fruits and steamed veggies. study, too much of sleep or the lack of it can lead to weight gain.